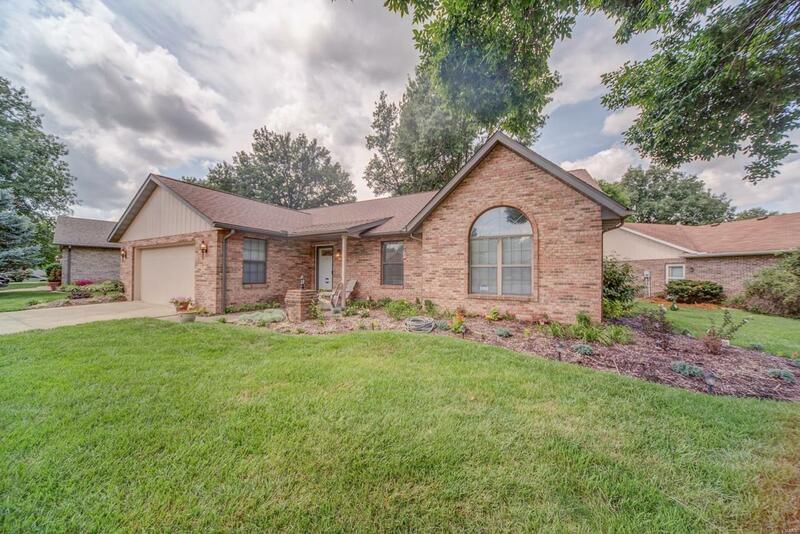 Move in ready and updated! 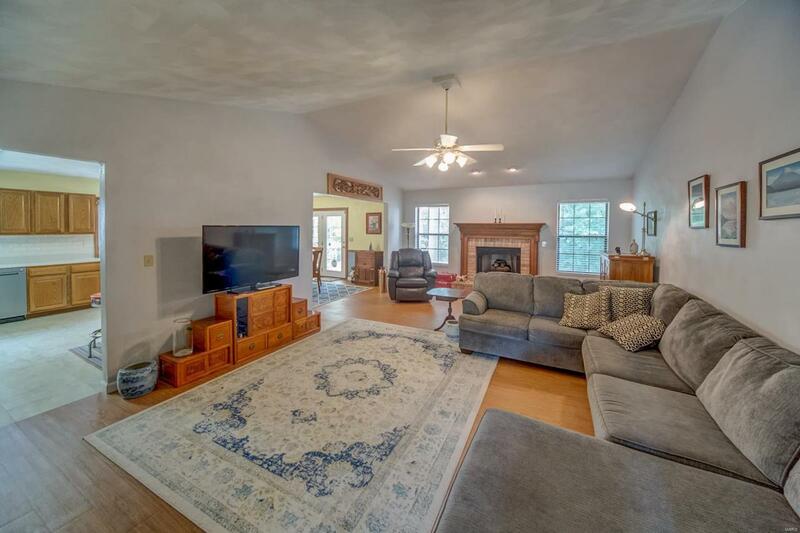 This sprawling ranch offers vaulted ceilings and a huge living room with gas fireplace. The large kitchen has plenty of counter and cabinet space with a breakfast bar, stainless appliances to stay, new backsplash and formal dining area. The guest bedrooms share a full bath and the master bedroom has an expansive walk in closet and 3/4 bathroom. There is newer luxury vinyl flooring that looks like wood and new laminate in the kitchen and baths. The laundry room also houses an updated heating and cooling system. 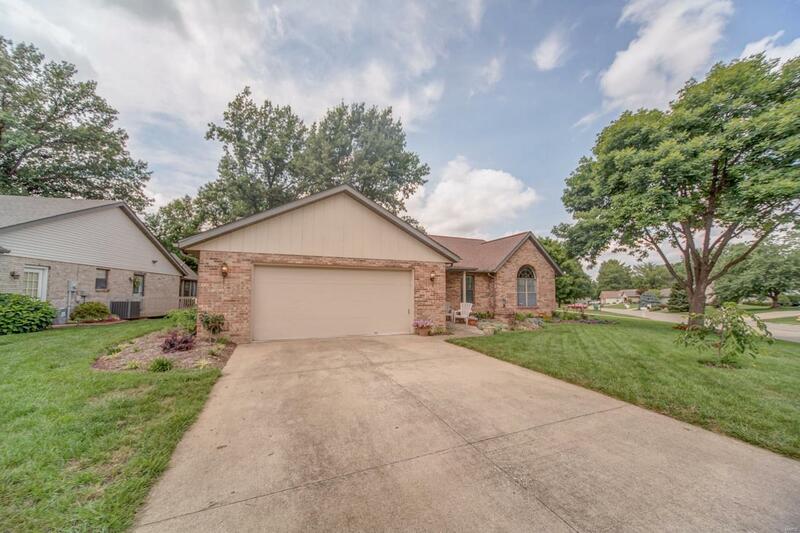 Fresh landscaping around the exterior and a wooded backyard to enjoy from the deck. Plenty of storage in the oversized 2 car garage with built in workbench and pull down attic access. New faux wood blinds just installed. 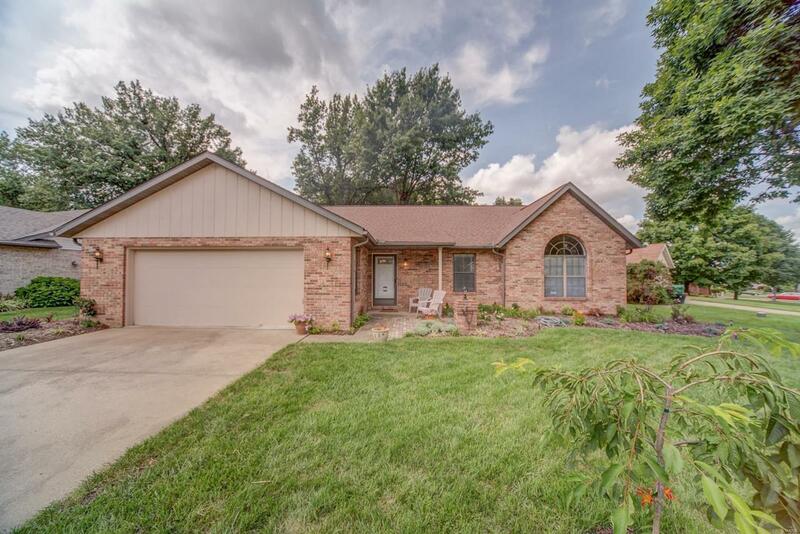 Minutes to Scott Air Force Base, new hospitals, shopping and I64!